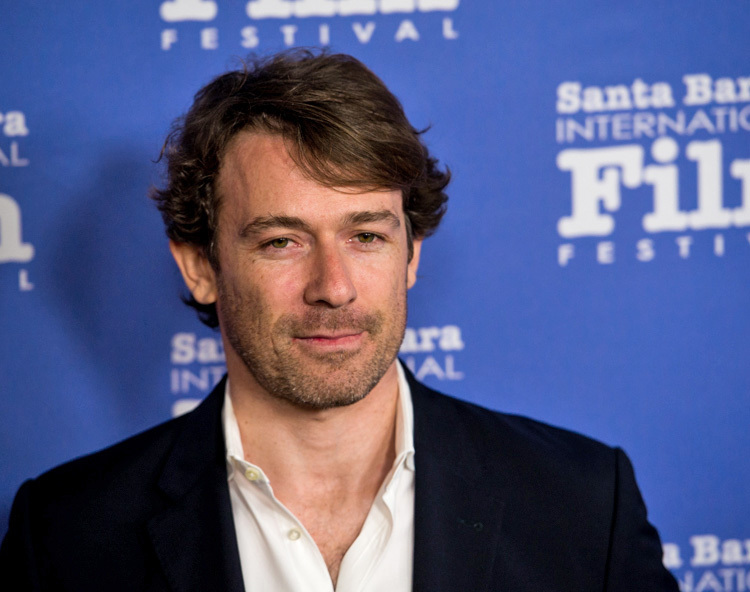 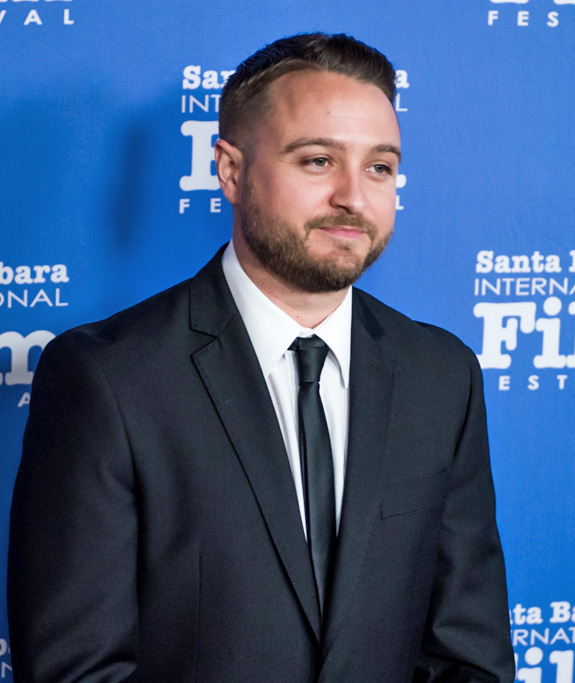 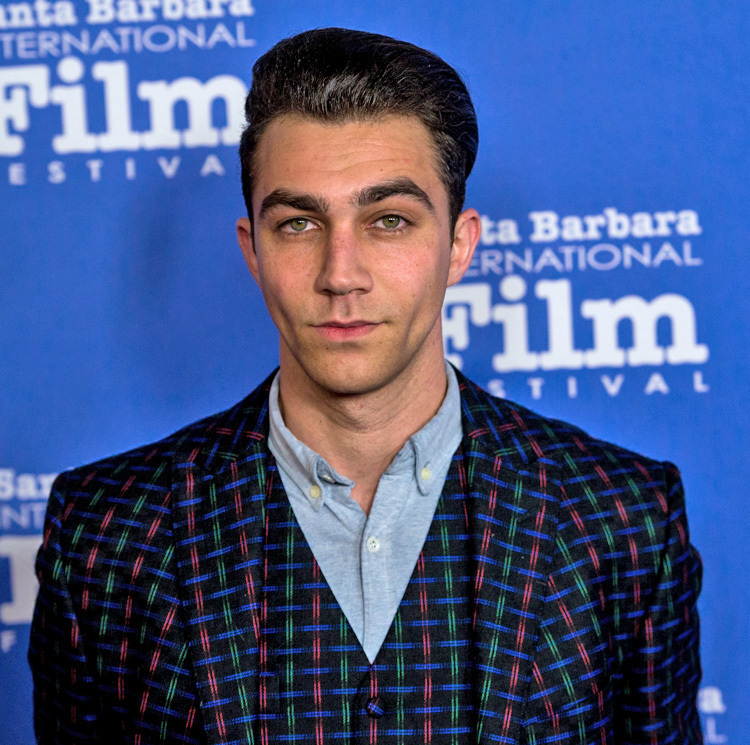 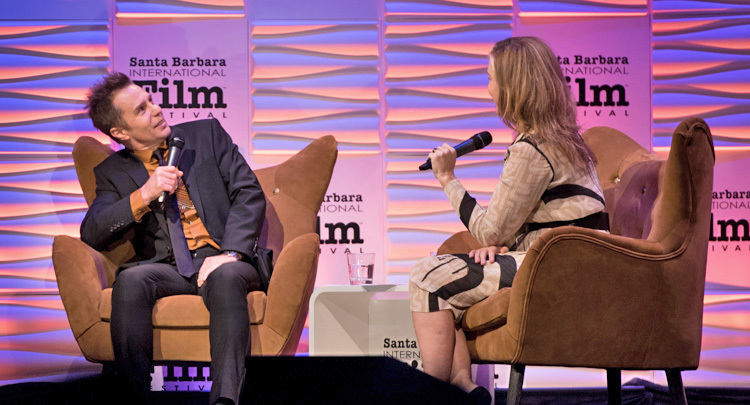 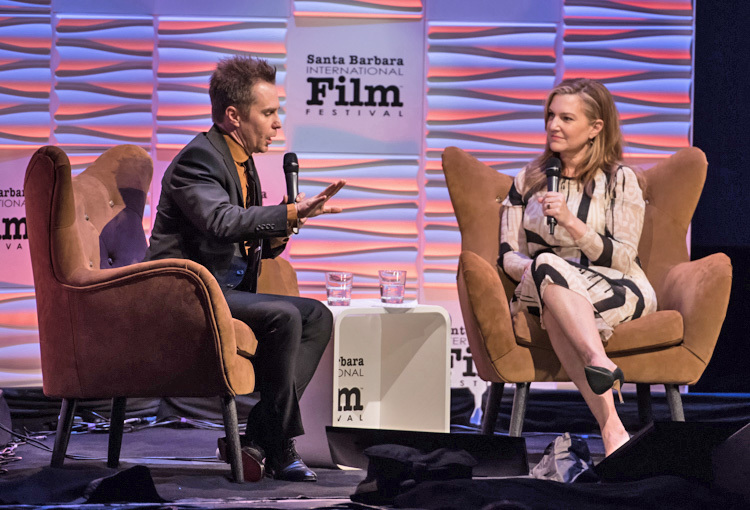 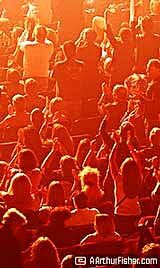 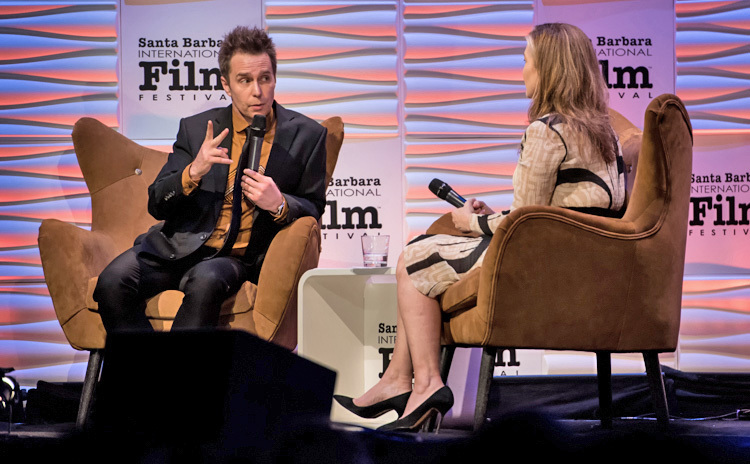 The Santa Barbara International Film Festival continued to deliver big Hollywood stars to The Arlington Theater well into its second week. 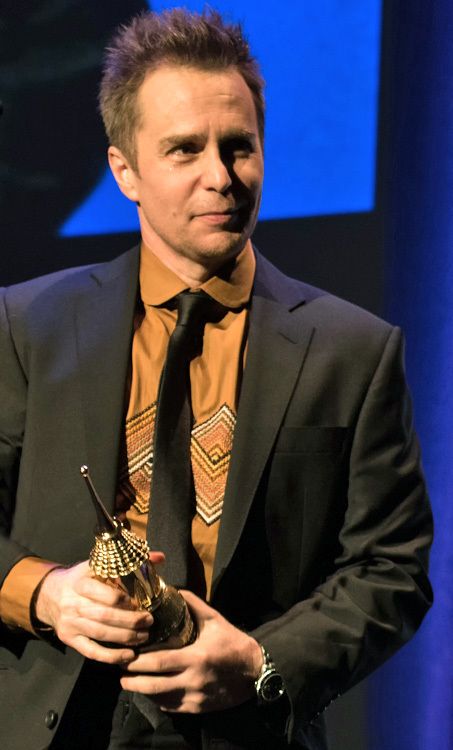 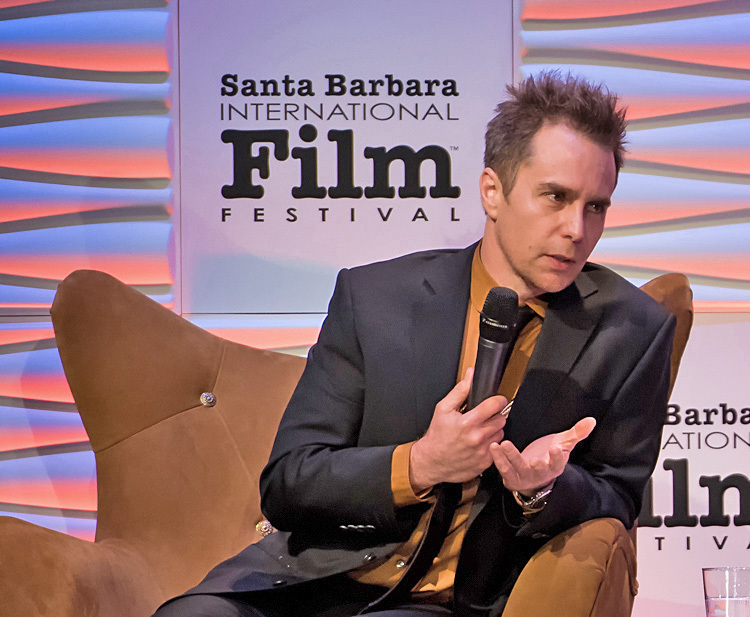 Academy Award nominee Sam Rockwell came by to accept the SBIFF American Riviera Award for his portrayal of a burned-out police officer in Three Billboards. 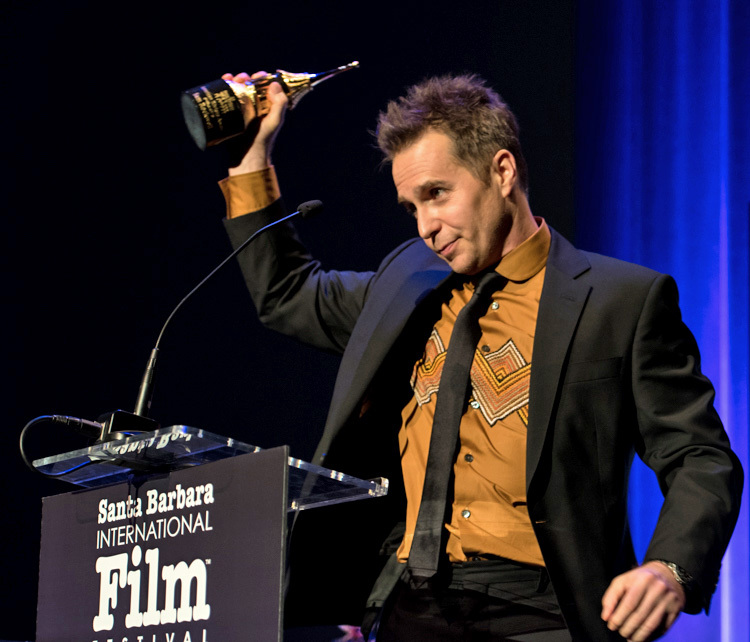 The SBIFF American Riviera Award recognizes actors that have made a significant contributions to American cinema, which is fitting for Rockwell with well over 60 films to his credit. 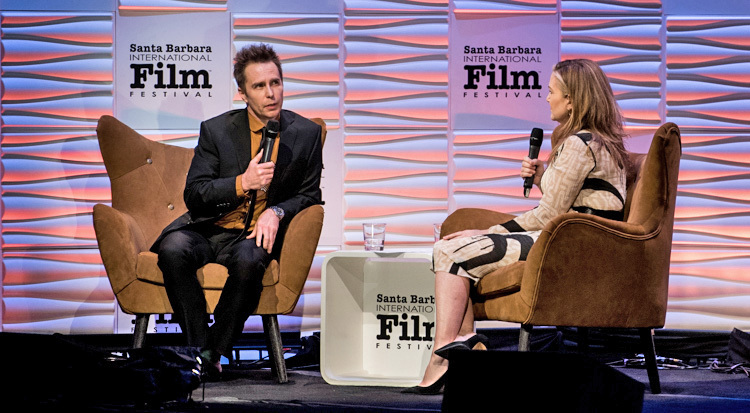 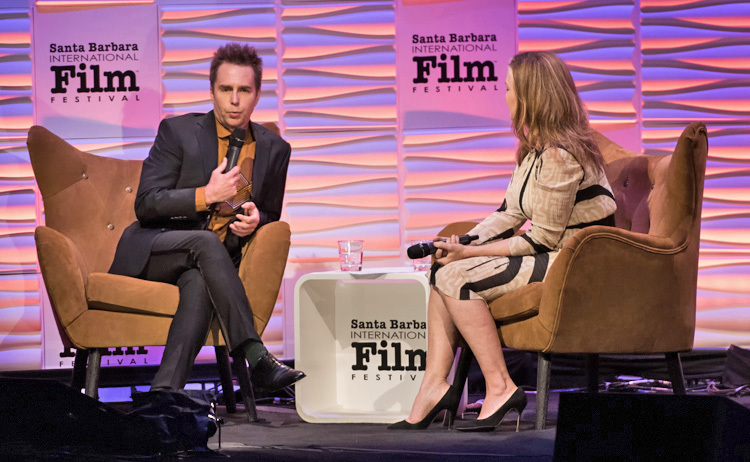 “Sam [Rockwell] is versatile, gifted, and never the same character twice,” proclaimed the evening’s moderator, Vanity Fair West Coast Editor and Hollywood Ambassador, Krista Smith. 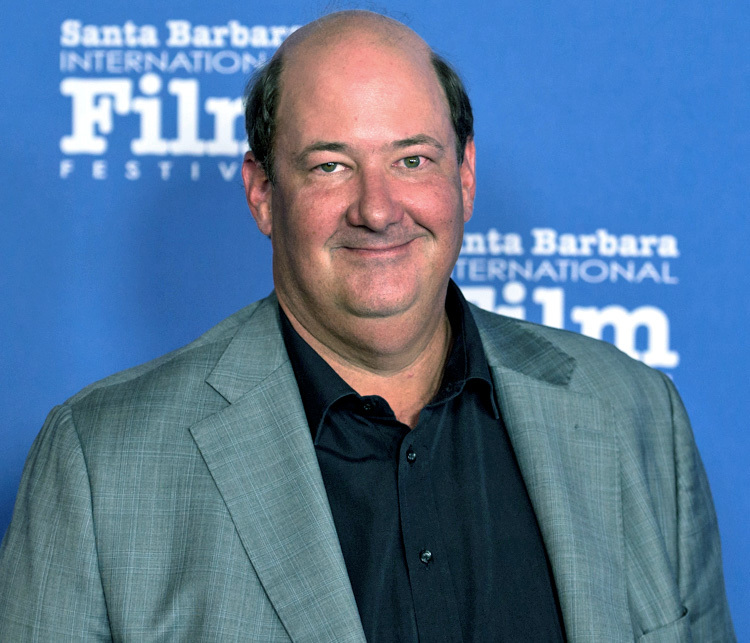 And his movie montage amply verified this description. 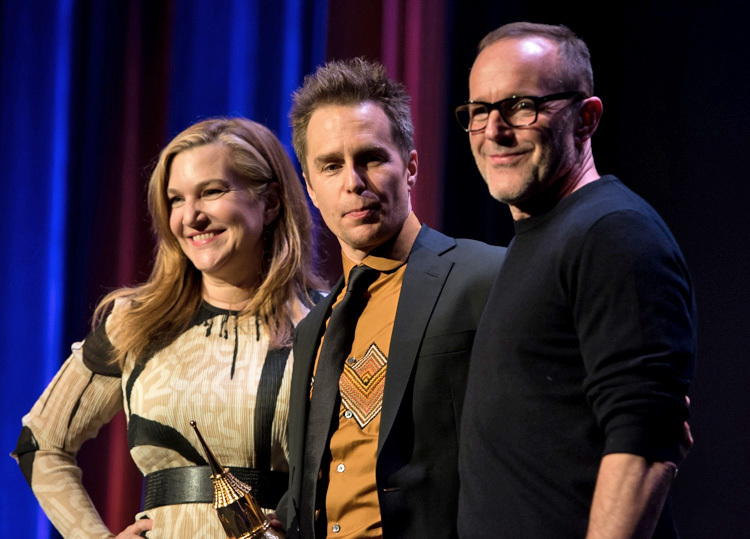 The evening came to an end as actor/director/friend, Clark Gregg came to the podium to give Rockwell his award. 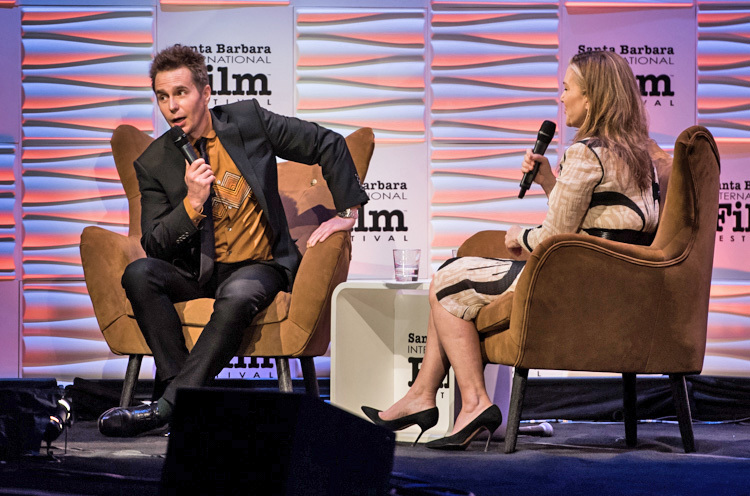 “Rockwell has the ability to make sketchy, odd characters relatable,” Clark said of his friend after sharing some intimate stories from their youth. 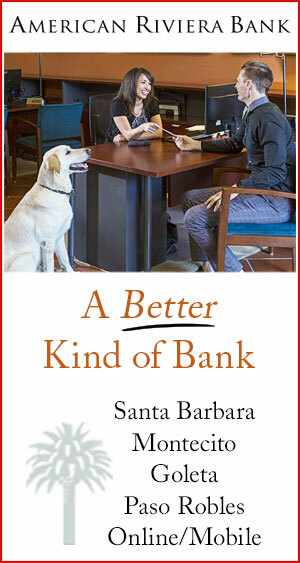 “Sam makes everybody better. 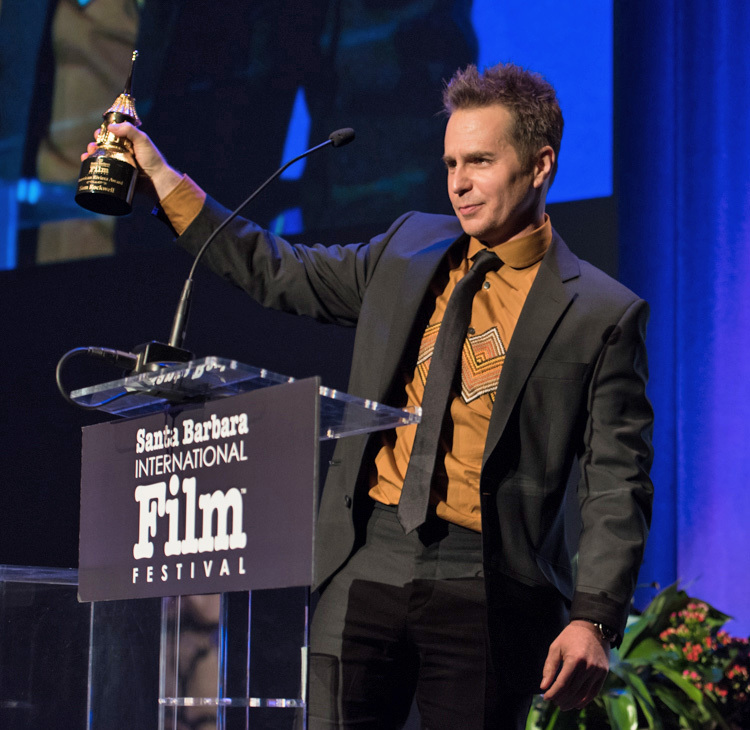 He portrays broken in such a way that connects us all.” Perfect timing for this important performance in Three Billboards, demonstrating why Sam Rockwell is Hollywood’s favorite anti-hero.